What is Catherine telling Miranda on Grey's Anatomy. "I Bet It Stung" is the fifth episode of the show's tenth season. 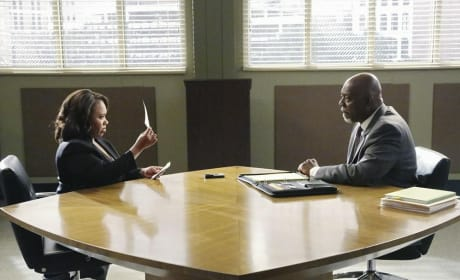 Miranda tries to assist Richard on Grey's Anatomy. "I Bet It Stung" is the fifth episode of the show's tenth season. 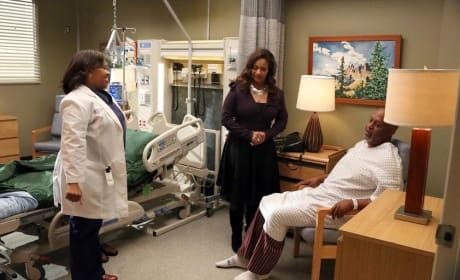 Richard's looking pretty tired during his recovery on Grey's Anatomy. "I Bet It Stung" is the fifth episode of the show's tenth season. 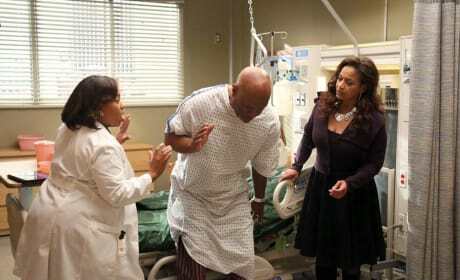 Miranda and Catherine attempt to help Richard with his recovery on Grey's Anatomy. "I Bet It Stung" is the fifth episode of the show's tenth season. 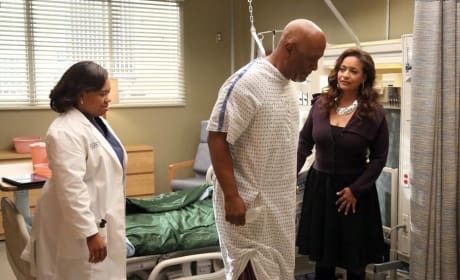 Miranda and Catherine are there to help Richard on Grey's Anatomy. "I Bet It Stung" is the fifth episode of the show's tenth season. Yikes! 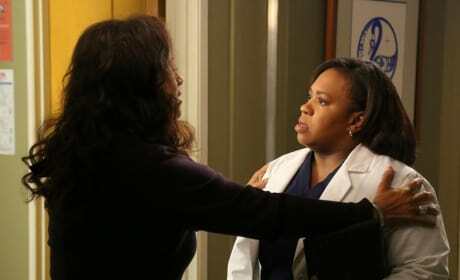 Bailey reacts here on the Season 10 premiere of Grey's Anatomy, a special two-hour episode. 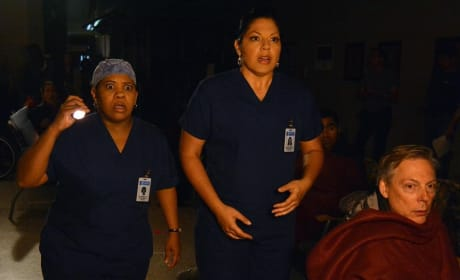 Callie with Bailey in a photo from the Season 9 finale of Grey's Anatomy, "Perfect Storm." 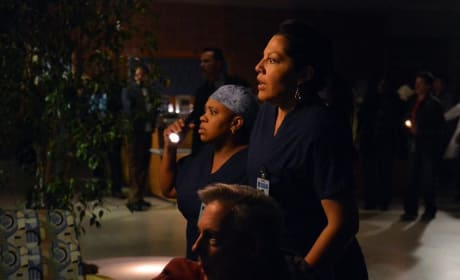 Bailey and Callie in a scene from the Season 9 finale of Grey's Anatomy, "Perfect Storm." 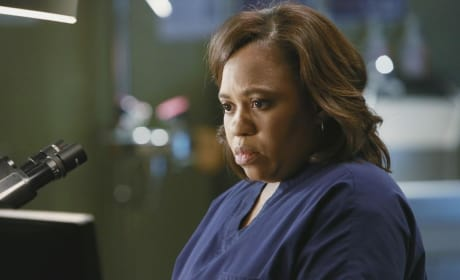 Miranda in crisis mode in a scene from the May 2, 2013 episode of Grey's Anatomy. 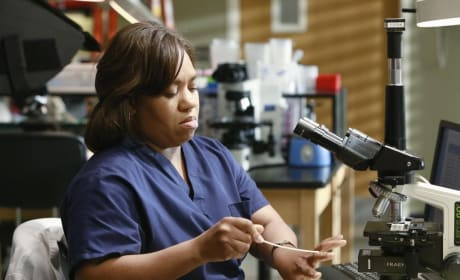 Bailey in a scene from the May 2, 2013 episode of Grey's Anatomy. 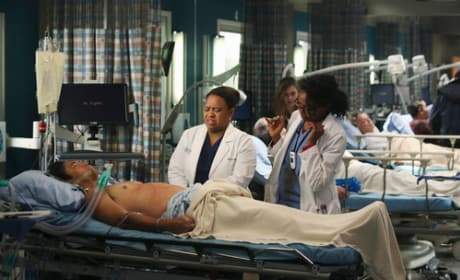 Bailey in a crucial scene from the April 25, 2013 episode of Grey's Anatomy, "Sleeping Monster." 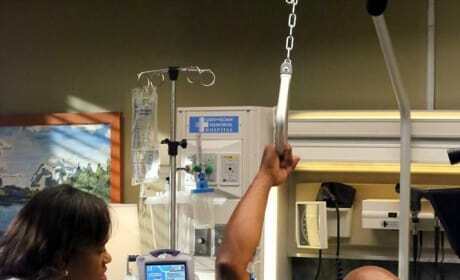 Bailey is under the gun scene from the April 25, 2013 episode of Grey's Anatomy, "Sleeping Monster."